The lobbying delegation focused on many issues, including protecting the Jones Act, awarding federal contracts to the Philly Shipyard amid layoffs, and securing back pay for those impacted by the government shutdown. The Philly Shipyards decreased its workforce from 1,200 workers to about 400 in 2018. Many members of Congress have already lobbied the Department of Transportation to grant the shipyard a contract. 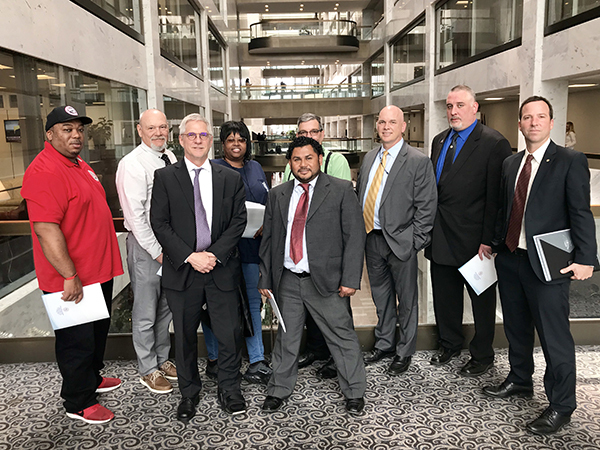 Members from the Metal Trades Union will continue to fight to ensure that the key issues impacting their membership are a priority to those serving in Washington.